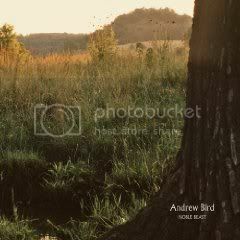 I first heard Noble Beast in late 2008, when it leaked well in advance of its release date. Since then I feel like I've revisited it in bursts maybe five or six times, and I'm always left with the same response: "Nice." I'm not brough to my knees, nor do I shrug it off. It's a nice album, one that I'll gladly spin every few months or so. Songs like "Anonanimal" and "Not a Robot But A Ghost" give the album a sort of spicy flavor, but he doesn't abandoned his folksy inclinations, as evinced in "Effigy" and "Souverian". While I might pluck Mysterious Production of Eggs or Armchair Apochrypha first, Noble Beast is another fine entry for a guy who tends not to let his standards dip. Ever wonder what a Drive-By Truckers album would sound like if there was no Mike Cooley, Jason Isbell, or Shonna Tucker? 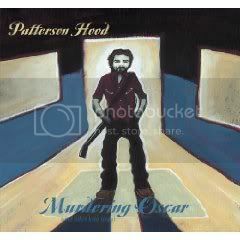 I give you Murdering Oscar, the raspy throated rocker's second solo effort. Rife with songs of urban dischord and rural contemplation. I'm most intrigued by "Pride of the Yankees", since it seems like such an odd topic for Hood to address. However, he seems to be scultping a rather brilliant metaphor. Lou Gehrig ostensibly respresents New York City, and his terminal illness represents the September 11 attacks. The song gets a little less subtle as it progresses, but the poignant symbolism is an example of how Hood's songwriting always goes beyond its principal subject matter. 13. 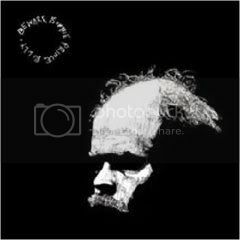 Bonnie Prince Billy - Beware! Will Oldham's 2009 release is a different animal than 2008's Lie Down In the Light--one of my favorite records last year. He does an about face from the quiet, brooding style that dominated much of LDITL and, indeed, much of his back catalog. With Beware!, he's created a record that's sometimes silly, sometimes lush, sometimes--dare I say it--fun. It's a different sound, that's for sure, and one that's slightly less befitting of the BPB aesthetic than his previous work. But I get the filling that Oldham would scoff at that sentence, and claim that's exactly why he made the album he did. Beneath that shiny, chrome dome and behind that anachronistic facial hair, there actually lies some charming vivacity. The other day I pulled out The Crane Wife, the Decemberists 2006 release that was in parts based around the Japanese folk tale of the same name. Two tracks (three songs, really) make up the Crane Wife story. I remember thinking, "I like this, but I hope this is as conceptual as they get." So, of course, they wrote a damned rock opera. It's an enjoyable disc, although I appreciate it less for its operatic progression and more for certain individual tracks--especially, as I've pointed out, the lovely closer "Hazards of Love 4". 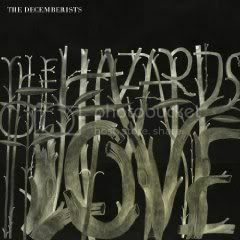 I'd deem Hazards of Love a successful endeavor, but my hope is that the band gets back to creating vignettes as opposed to full-on movements. This record is so divisive, it's akin to the Bush presidency. Purveyors and detractors of Animal Collective are at such odds because of the amount of press the record is getting. Rock fans say "This isn't music," and hipsters rebut "You don't get it!" It's become less about the music and more about backlash and being dimminutive. 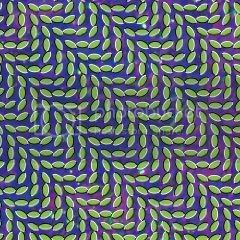 I don't have any sort of history or bias when it comes to Animal Collective, nor did I go nuts over Merriweather Post Pavillion when it came out. I reapproached the album sometime in August or September, well after the hype had died down, and was rather surprised with how much I enjoyed it. Sure, there's a lot going on (apparently the issue most detractors take with AC in general.) Perhaps some pretentious or needless adornments, sure. But unravel the chaos and you'll find clever melodies and thoughtful lyrics written by talented musicians. Really, it's true!